Is Optional National Service A Good Measure To Improve Military Recruitment? 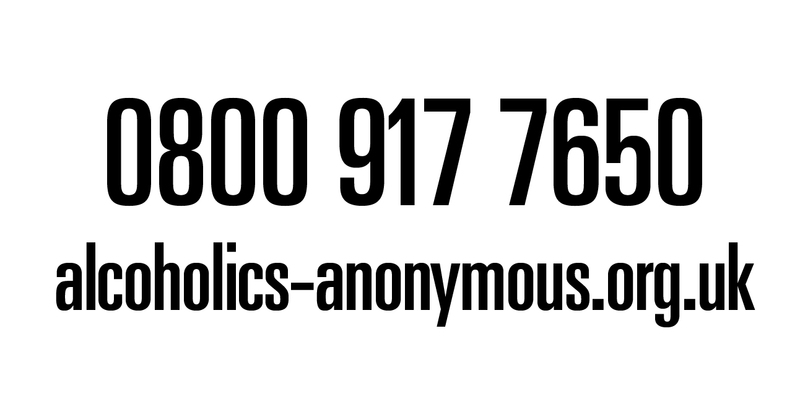 The UK Armed Forces are short of 8,200 personnel across all three services – Army, Royal Navy and Royal Air Force. As a result, it was revealed yesterday in the UK media, that for the first time, foreign nationals, despite having never lived in the UK, would be allowed to join the UK’s armed forces. The MOD is expected to announce that potential recruits from Commonwealth countries such as Australia, India, Kenya and Fiji, will no longer have had to live in the UK for five years, prior to joining the services. Inside the March 2018 issue of Pathfinder, our military memories supplement, Left Right Left, touched upon the topic of National Service and if this solution could be adopted to bridge the gap in falling numbers in the military? The response we received was staggering. 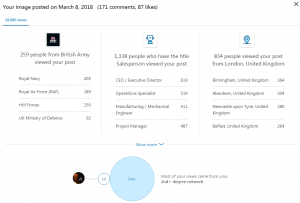 Our LinkedIn post alone amassed over 28,000 views, 171 comments and 87 likes. 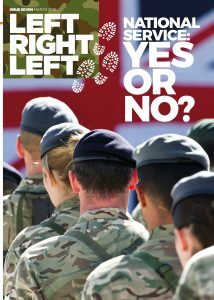 The range of answers to the front cover image of Left Right Left posing the question: National Service: Yes or No? was split in half. As expected many opted for the ethos of National Service providing a solid base of life experience for youngsters to develop themselves and potentially remain in the forces as a career choice. Others raised the point of not wanting to work alongside youngsters forced to join the military, albeit on a temporary basis. The attitude of people not wanting to be there was called into question and warnings this could be a drain on the regular serving troops were stark and real. The cost of implementing National Service was also mooted. Uniforms would be required for an influx of thousands, not to mention the administerial and logistical element of processing additional temporary troops. With all this taken into account, why not propose an “optional” National Service scheme? Open to anyone leaving school, Optional National Service (ONS as the MOD like abbreviations) could attract those wanting to better themselves, gain life experience and an education to boot and more importantly, want to be part of the military (even if temporary) and want to learn. Perhaps those who sign up can study A Levels or the equivalent whilst in the military or earn educational points whilst serving that count towards University, should they choose that route. It is certainly an emotive subject as our debate proved in March, yet surely a scheme akin to the above proposal would suit the needs of all parties? The MOD get their numbers up, the military receive people who want to be there and those individuals signing up gain their life skills to use later in their career. Mal Robinson, Editor, Pathfinder International.